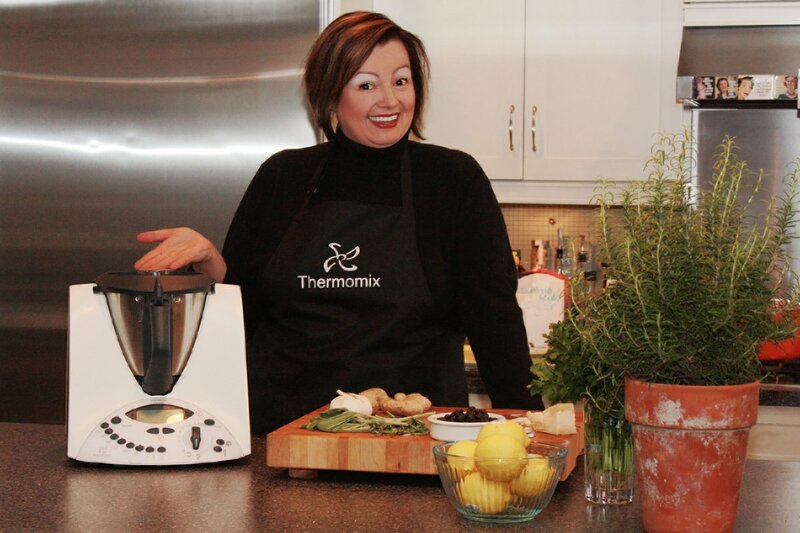 Thermomix Canada Regional Manager: Give me a call! Are you interested in a Thermomix Cooking Experience or in purchasing a TM5 Thermomix Machine? The Thermomix Machine is my favourite Kitchen Helper! The TM31 is pictured above. I loved it for 10 years, and now love my TM5! Please leave a message below if you have questions about the Thermomix machine, are interested in participating in a Personal Cooking Experience (no strings attached) or the possibility of purchasing a Thermomix machine. I will get back to you right away. Not only am I the Regional Manager for Thermomix Canada from East Coast to West Coast, but I sell the Thermomix Machine from Edmonton, Alberta, Canada, as well. I can certainly answer your questions. If I am unable to sell you a machine, I can certainly direct you to someone in your area who can sell you one. I do offer online and ongoing support to clients in isolated areas. I am moving to the USA and wanting to buy a Thermomix with the correct voltage. I currently own one and couldn’t live without it. Just wondering if you can ship to the US or if I travel to Canada I could buy one there. I sent you an e-mail. If you didn’t get it, check your spam folder. I live in Calgary Alberta, and I am interested in purchasing one as well. I would like to hear from you soon ???? Please do let me know that you have received it. Hi I’m looking to price a TM 31. I stay in the U.S also and had someone tell me about it, and was interested in pricing and getting one in the future. We don’t sell TM31’s anymore. We are sold out. We do have TM5’s for sale and I have sent you an email. I have sent you an email asking for your phone number to give you a call, but you haven’t responded. I am moving form Germany to the US in August and I will not!!!!!!! live with out my Witches-pot! 🙂 I want to bye one and I know it only works over Canada. So can you be so kind and let me know how I can purchase a new one? Because of the electric is so different, even with all the tricks my old one would loose power my electrician told me. So I want to buy a new one!!! HELP!!!!!!! Similar to Damar, I would like to purchase the TM31 and I live in US too. Would you be able to assist on how I can purchase one? Thanks. I too am looking to purchase the new Thermomix. I currently live in Cleveland, USA. What can I do? I have sent you an email! Check your spam! Have sent you an email, Elena. Check your spam. I did send you a response, Yulia, But have not heard back from you. Dagmar Mann kann in Canada und Amerika ein Stecker in der Küche ändern auf 220 jede Küche hier hat dies Möglichkeit, habe ich in meine Küche, mein Mann ist im Elektrofachmärkten, und als wir gebaut haben hat unsere Baufirma das eingebaut. The 220 plug is usually behind the stove as that is per electrical code in Canada, but you can get another one installed in advance, at considerable cost. Hi I would like to buy one of those for my wife, she use to have in Italy but now we cannot find here in Canada. Can you please give me instructions? I sent you an email and you did respond, so I know you received it. However, as I have not heard back from you, I have taken you off my call back list. Of course, I would be tickled to hear from you. Hi, i’m interested in knowing prices if you could email me some info? I have sent you an e-mail Raquel. We have had a conversation via email about this. Hello, I am interested in purchasing a thermomix, I live in the US. I have seen the functionalities of the the machine and I am completely awed with the capabilities and end product. How much does it cost? And will I get the same voltage as in the States. Look forward to hearing from you. I am looking to buying sometime early next year. I have e-mailed you a response to your questions. I live in United States, Georgia.I would love the idea of owning a Thermomix .I understand that it’s not possible to purchase the processor here. Maybe in the near future…I will do more research on it, including all the ways of producing fabulous recipes, and how it all works.I would like to know how and what is the guarantee on this machine,as I’m afraid that if anything will go wrong,it would be extremely hard to have to return or replaced, or if anything brakes,etc…It would be hard to justify that the appliance is not working any longer, or couldn’t be used ,considering the exorbitant price.I am intrigued,and I am looking forward to someday be able to be the proud owner of such an amazing appliance, and just having the pleasure of creating recipes in my kitchen…I think that american people would definitely embrace the idea of purchasing the Thermomix,it would have quite a great market, (including jobs for new consultants).And very happy households,because everyone would discover a new, healthy,and fabulous way of eating food…especially in this fast driven society of understanding how to eat ,not just fast food, but truly healthy and innovative food, without sacrificing anything else, all because of the Thermomix,that replaces so many other appliances,and saves so much time in producing satisfying meals .I quess that alone should justify it’s price…. Anyway, thank you for your time and patience to read my long question….I wish you a wonderful New Years, and lots of happiness in all of your endeavors. How can I purchase a Thermomix? I live in the US. I am interested in purchasing a Thermomix. Would you be able to send me payment info including the monthly payment plan? Thrilled to hear this! I have sent you an email. Let’s talk asap! Could you please email me an info about the price? I have answered you over and over via the email and don’t seem to reach you. 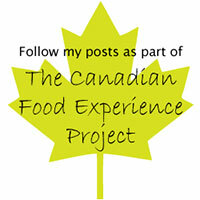 Can you please check your spam or send me a message to valerie@acanadianfoodie.com? I’ve got it. Will contact you soon! I have sent you an e-mail, Cristina. I am interested in purchasing a thermomix. It is for US. Can you please send me all the information about mailing, prices and payments. Sent you an e-mail Miriam – haven’t heard back from you. 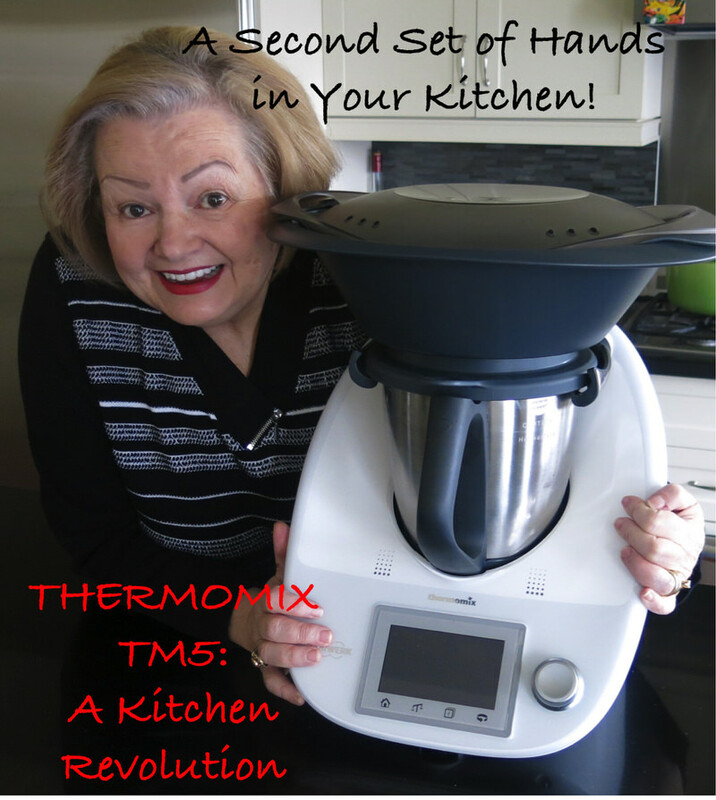 How much is the Thermomix in Canada…TM31 and TM5? I have sent you an email; please check your spam! I too live in the US and am very interested in the Thermomix. I would love any information you have about how I look into getting one. I have sent you an e-mail, Robert. Can u let me know how much it cost, my sister outside Canada is enquiring, how do I contact u if interested? I have sent you an e-mail Sui – but wrote to you as “Bee” – sorry! And understand she will be up next weekend. We need to talk. Please send me your phone number. Sent you an email and keep checking back as I would love to talk with you on the phone tonight, if possible. If not, let’s do Skype or FaceTime while I’m away? I am really interested in purchasing the thermomix, i would lie to know if you chip it to london ontario canada?? I am also wondering what’s your price?? I sent you an email, Diane, but didn’t hear back from you – check your spam? I am in Atlantic Canada and am curious about price. I have just sent you an e-mail, Wanda! I have a thermomix in Europe and I would like to buy a new one as I am relocating to USA. Could you give me more information on the price and the shipment to USA ? I have written to you a couple of times. Sure hope you received my messages. I have the same problem, what did you find out? We come into Calgary quite often. Recently we saw a Thermomix in action at our friends home in Perth Australia. Is there someone in Calgary who can sell us a Thermomix? I am interested in purchasing a Thermomix TM31. I live in the US. Can you please send me all the information about mailing, prices and payments. I just sent you a detailed message. I sent you an email yesterday – check your spam. Please let me know if you received it. I am also interested in purchasing a Thermomix TM31. I live in the US. Can you please send me all the information about mailing, prices and payments. Does it come with a warranty? I am too interested in purchasing a Thermomix TM31. I live in the US. Can you please send me all the information about mailing, prices and payments. Does it come with warranty? and Do you teach how to use it? Could you let me know if I bring my Thermomax back to America if it will work? My name is Erica and I own a Thermomix in Australia. I’ve had it for 6 months and looooove it. My husband and I are moving to Saskatoon in a month (he has a 2 year Post-Doctoral Fellowship) and can’t decide if we should take Thermie or buy one in Canada! Could you please recommend which way to go…. And also let me know how much they cost in Canada? I have send you an e-mail, though I haven’t heard back from you. Hi Valerie, I just moved to US, from Malaysia. My cousin loaned me her TM31 back home, and I fell in love with it. Can you please send me the prices, shipping and payments. Looking forward to hear from you! Hi, I’m in BC – can you please also send me information on price, shipping and payment plans? Thanks! Sent you the information via e-mail. Haven’t heard back from you. Please check your spam. I would love to purchase a Vorwerk Thermomix TM 31. Could you please send me all the details about mailing, prices and payments. I would greatly appreciate it. I live in the US. Will it be a 220 Volt or 110 volt? I have sent you an e-mail, Eva. I live in the us and would like to know the details about pricing, warranty, shipping etc.. Thank you so much! I have send you an email, Teresa! Valerie, I seem to have the same question as everyone else. How can I get a Thermomix in the US? I have answered you via email, Ana. Please check your spam. I am interested in buying Thermomix, I live in Aurora, Ontario. Please let me know the details so we can discuss this further. How I would LOVE to sell you a Thermomix, but alas, I cannot. I can sell anywhere in Canada but Ontario and Quebec as Noblehaus has the distribution rights to those two provinces. You will need to contact them. After you buy your machine, I would be happy to share recipes with you and continue to share the Thermomix passion – or support you in any way with your new machine! Valerie; I don’t see the price anywhere. I live in St. Albert, so close to you & am very interested but need to know if within my budget. Send you an e-mail. Please check your spam – and do confirm receipt of that e0mail please? Can you send me information about purchasing a Thermomix? I live in the USA and would like to know the price, and shipping details. – When will it be available in to purchase in Canada (US)? – Will the older model (TM31) still be available at a lower price, at the same price or not at all? I have sent you an email. Please check your spam and confirm receipt of that email. I have emailed you. Please check your spam and confirm that you received my message? WHEN IS THE NEW MODEL TM 5 IN CANADA ? …..AND WHEN I PURCHASE THE OLD TM31 WHAT HAPPENED WIT SERVICE , PARTS ECTR? I am French and live in USA since 2 months. I have TM31 from France and use it with a converter. I am looking to the TM5. Did you sell it in canada?? If yes can you please send me all the information about mailing, prices and payments. Does it come with warranty? and Do you teach how to use it? I have sent you an email. If you don’t get it, check your spam. I live in the Crowsnest Pass and im interested in buying one TM31, can you tell me what the options are and the prices? I have sent you an email. If you don’t get it, please check your spam. Whats the price for Thermomix 5? In Toronto region. If you live in Ontario, or Quebec, your distributor is Noblehaus. You will have to look up their contact information. I can sell anywhere in Canada, but I cannot sell to those two provinces as they are Noblehaus territory. Too bad, too. They are at 15% tax, and my tax in Alberta is only 5%! I live in Montreal and I would like to know prices for the TM31 please. Please check your spam if you haven’t received it. Please send me pricing and shipping to WIsconsin US. I have sent you an email. Check your spam. Me and my wife moved to Lethbridge (Alberta) 3 years ago, and since then we are looking to buy a Thermomix, but we never found where to buy it. Today I am very excited because I found your website for the first time. Could you please send me information regarding prices, and how could we do the buy from Lethbridge? I sent you an email. Please check your spam and confirm receipt of that message via email back to me. I’m interested in purchasing a Thermomix from you. I live in California. Are you able to assist me? I have sent you an e-mail. Please be sure to check your spam and please confirm via e-mail – or here – that you did receive the message from me. I have moved from Australia to Canada and have bought my TM31 with me. My machine is 220 – 240v 50/60hz. Any suggestions relating to the plug configuration issues I am experiencing? I can us a travel adapter to plug into a standard receptical but I need more power and I dont have a canadian 220v/australian adaptor – and cant seem to find one! You have to go to an electrical supply company and buy an adapter, or have one built onto – added onto your machine. It should be between 100 and 150 dollars and will be big, awkward and clunky – but it will work! Interested in getting more information on purchasing a thermomix, and if there is an update on when the new version will be available. I have sent you an e-mail. Please check your spam folder and please also confirm receipt of the email? Wie will be moving to the US from Germany and I would love to buy a Thermomix with 110V. How can I do that and how much are they over there? I have sent you an e-mail. Please check your spam folder if you haven’t found it. Could you please let me know about possibility of buying thermomix in US and what is the price of it? Sent you an email Katie – please confirm you have received it, and check your spam. I live in California and would like to purchase a Thermomix TM5. 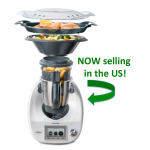 I have been told there are no distributors in the US and that Canadian distributors can not mail Thermomixers to the US. Is this true? Please check your spam and confirm receipt of it. We are also moving from Germany to the us, and would like to buy a thermomix. Where can i get one, and when is the new Model available? Send you an email. Please confirm you received it. Check you spam. I have sent you an email – please confirm receipt of it – and check your spam! I’m from Spain and all my family and friends have a Thermomix. I live in California an I’m interested in getting one. Could you send me information about how to do this? I have some friends who got it in Canada. Could you tell me also about the prices? Have sent you an e-mail. Check your spam if you cannot find it – and please let me know that you have received it. I have sent you an email. Please check your spam and do confirm receipt of the message? Let’s start with where you live, J, so I can provide the correct information for you. Erica – I have answered you via email and look forward to speaking with you! I am looking to buy a brand new Thermomix. How much is it ? and how long to deliver it in Winnipeg ? 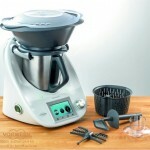 Do you have a Thermomix with imput for 240 volts ? Please check your spam and confirm receipt of the message regardless of connecting further about the machine or not. I just want to be sure you received the information provided to you. I have a Thermomix 31 that gives “Error 52”. Do you know any technical service in Manitoba? Usually that means the pins under your TM5 bowl are wet or damp. Take some time to ensure they are really dry and try it again. Look in your instruction manual as there are some further tips for your to use when trouble shooting the Error 52 message. It is one of the messages most clients can solve from home without needing a trip to the service department. I also sent this response to you in email. I’m interested in purchasing a TM31, 110V/60Hz version. Please advise as to the price and shipping. Is the US customs to collect their duty as well? Just inquiring about the price and shipping to Calgary. I look forward to hearing from you. I am curious about pricing for the USA on the TM31 and the TM 5. I have sent you an email. Please check your spam if you don’t receive it. I have questions about price for new and old machines. Hi Valerie, I live in Boston, MA in the US and want to buy a thermomix. Can I buy it from you? How much is it? And how does the voltage conversion work? I sent you an email. Please confirm receipt of that email. Check your spam if you cannot see it. I sent you an email. Please check your spam. I am interested in attending a presentation and maybe buy it if I can justify such a price..
or maybe its lower price for T 31 since it will be going off market? The TM31 will never go on sale. We only offer incentives! Thrilled to hear you are in Edmonton. I have called – no answer – and no answering machine. 🙁 I have sent you an email and facebook message. Sure hope to hear back from you! Hi Valerie, I have heard of Thermomix and saw some demo on youtube. Please email me details of the products and plan. Thanks. I would be interested in information about the latest model Thermomix. The model with the computerized display. What is the price and is it available for sale in Canada now? I am a resident of Edmonton. I am a follower of your website and love it. Thank’s. Keep the recipes coming. I have sent you an email. So wonderful to meet a local reader – thrilling, actually. Thank you so much for the warm fuzzies! Please check your spam or email me at valerie@acanadianfoodie.com. I am moving from Australia to the USA and wanting to buy a Thermomix to use there. Can I have one shipped from Canada to USA, if so how much please? Can I also get the costs for the TM31 and TM5 models? I live in Washington DC. I am interested in learning about prices for the latest 2 models. I’m interested in the Thermomix and live in Canada. How much is a unit in Canadian dollars? I have sent you an email and you have replied, so we are on it. Can you please contact me about sending a Thermomix to the US. I am currently living abroad and am considering to buy a machine to take home with me, but considering the ones I have to buy here are not the correct voltage I would always have to use a converter. I would really prefer to buy one in North America with the correct voltage if possible. I have sent you an email. Check your spam and let me know here if you do not receive it – otherwise, simply respond to my message. I’m interested in the Thermomix and live in Canada. How much is a new and old unit in Canadian dollars? I was introduced to the TM 31 over the Christmas Holidays in Germany and I loved it. I would love to purchase a TM 31, but there seems to be a small problem, I live in the US. I had responded to you and am responding again. Please let me know here if you do not receive a response. Check your spam. I live in Colorado and would love to buy a thermomix tm 31. Could you help? Sorry wondering if the new model is available in Canada yet? TM5. Sent you an email. Check your spam. I recently moved to California from Spain and would love to purchase a Thermomix after my cousins bought one and showed me how great they are! I have sent you an email. Please check your spam – and let me know here if you did not receive it. I live in the USA and have been coveting the Thermomix for a few years now. Is there any way to buy one here? I have sent you an email. Please check your spam and let me know here if you haven’t received it. I need info about the new thermomix I need it in Florida, is that possible? I sent you an email. Please check your spam folder. I too would like to buy a Tm5 as soon as it becomes available in Canada, also to be sent to the U.S. Could you help? Thank you! I have sent you an email, Romy. Please check your spam. I too am an Aussie Thermomix devotee who is moving to the US. I have a TM31 and couldn’t live without it. Can I buy a TM appropriate for US voltage from you? Is there a consultant in Southern California? Which model is available for purchase – TM31 or TM5? What is support like in the US if you’re in Canada? Sorry for all the questions! Have checked my spam folder and searched “Canadian Foodie” and your name in my email but can’t find anything from you. Can you resend? Sorry to be a pain but desperately need to know whether I can have a Thermie in So Cal. Sent you an email – please check your spam folder. Sent you an email Magdalena. I live in the US and I’m interested in buying a Thermomix. I was wondering if it can be shipped from Canada and if it will work here. I have sent you an email, Elisabet. Please check your spam. I just had my first Thermomix lesson/demo this past weekend and I am interested! Who gave you the lesson, demo? Are you the gal from Australia that is moving here? I will email you. Can you also send me information about getting a Thermomix sent to the US? Thanks! I have sent you an email. Please check your spam folder. I live in California and can’t live without a thermomix. I’m thinking about buying a new one; could you help? Hi — I am interested in purchasing a Thermomix TM31, and having it sent to Michigan, USA. Can you provide me with info on pricing and the process. Thanks! I thought I asked this already, but it is not showing up. I am interested in purchasing a Thermomix TM31, and having it sent to me in Michigan USA. Can you please sent me pricing and process information? Thanks! I am still looking for information on purchasing a Thermomix TM31 and having it sent to me in the US. Thanks! Todd – I answered you February 13, and again just now. Please check your spam. Wow, a new grandchild! Congratulations! You’ll have to let us know: girl or boy?! When you get a chance, I’d love the information for a TM5 in the U.S. 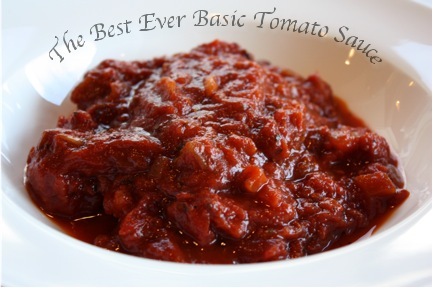 I love your website and am always in awe of the fabulous recipes that you make! A quick question, I live in Asia now and have just bought the tm31 here ( we don’t have the new model yet) and am thinking of getting this same model for my mum in NB. Do you know of anyone who is selling their old model to upgrade to the tm5? Hope to hear from you soon. Hi val, I wrote a comment on here yesterday…odd I can’t seem to find it. I live in Asia and have just bought a tm31 and needless to say I love it more than words can describe! I would love to get one as a gift for my mum in NB, however, getting a brand new one is a bit out of my budget at the moment as I just got this one. My brother lives in Edmonton and could bring it over, but was wondering if there was a forum where I could get a second hand one, perhaps from someone who is upgrading to the tm5. Any ideas? I have sent you an email, Matthew. Please check your spam. I just moved to Los Angeles, and I found out they don’t sell thermomix here. Is there any chance I can buy it elsewhere and use it here with an adaptor ? I can’t go back to all those pots and mixers and thousands devices I used before !! Just sent you an email Please check your spam. Please can you advise the price(s) and Thermomix machines & parts you sell? I don’t sell Thermomix parts. I sell the machines. I did send you an email. I am interested in buying a Thermomix in the USA. Can you please email me information? Pricing and do I need a specific converter? I’m interested in purchasing a TM31, Can you please email me information? Pricing and do I need a specific converter? I sent you an email, Ciro – actually two – please check your spam. I am sorry, I know I did contact you a while ago. Your responded and I did not get back to you. Now I have lost your email. Can you please email me info regarding purchasing a Thermomix for use in Houston, Texas? Particularly, do you have any info on a release date for the new model? I live in Maryland and would like info and pricing on the new model Thermomix that just came out. Is it available in 110v now? How much and long to order and receive it? I sent you a personal message the first day you wrote this but haven’t heard back from you yet. Hello i live in the US, and i am interested in buying a Theromix. can you tell me how i can purchase one from canada and have it shipped here? PS do you stock them? I live in Calgary and would like to buy a thermamix. I do not need a demonstration because I have been using one in Australia for a few years now. I would also like to know the price for one in Canada. I just moved to BC and am interested in purchasing a thermomix. I will only be in the country for 2 years so not sure if it’s worth getting an older model secondhand, or the newest model. Can you please advise on price and shipping options etc.? thank you. I have just sent you an email – please check your spam….but regarding getting an older model second hand, good luck. People do not seem to sell Thermomixes here. I will be getting a new TM5, but am not parting with one of my TM31’s. If you could find one, that would be your best bet, of course. On the same hand, you would have NO problem selling your TM31 if you buy one now to use while you are here as they are so rarely on our second hand market. My wife and I just moved back to the U.S. after living the U.A.E. for a while. While there we purchased a TM-31 (European model). I’m researching the best option for us to have a functioning unit now that we’re living in the States again. Would you recommend buying a voltage transformer, or just selling this unit to buy a new one that’s U.S. compatible? What would an “almost-new” TM-31 sell for today? Know anyone who might want to buy it? There are no TM31’s on the market now as the TM5 hasn’t launched yet, but from what I hear world wide, they won’t be on the market any time soon – so if you sell yours, you should be able to get a good price. That would be 1000 dollars for a used machine. Most people that come from Europe or Australia with their machines do buy a transformer. I believe they run about 150. They are awkward and most use them for awhile, then buy the 120v TM31. I have found zero transformers with consistently positive reviews. I can imagine how that would lead to the scenario you described. And that is the decision I now face. I’m leaning toward putting the transformer cost toward a new machine instead. When you mentioned the TM5 hasn’t launched yet, did you mean in Canada? I thought it was released in the U.A.E. just prior to our departure. More importantly, where do you recommending listing a used TM-31? And if we do sell it, would you have a 120v model available to replace it? I’d like to purchase a TM31. Can you help me out? Just sent you an email. Please check your spam. Hi, I am moving to Dallas, Texas and was wanting to purchase a Thermomix. Can you please let me know if this is possible and a price? Sent you an email Bianca! Hi! Could you, please, send me information about the price of Termomix? Hello, I am moving to the states and reluctant to take my Thermomix with me due to voltage difference. Can I purchase a TM31 through you? If so what would be the cost and details? I sent you an email, but haven’t heard back from you. Please check your spam. I would like to purchase a Thermomix machine. I live in San Francisco, California. Can you let me know how I can do that? I have sent you an email about you have answered, so I think we are on track. Like many of the posts above, I too am in the US and looking to purchase a Thermomix. Could you please let me know if this is possible and if so the details. Please check your spam, as I have sent you a message. I am interested in purchasing a thermomix. We currently live in the United States and I’m wondering if you can purchase one in the correct voltage for the US. Sent you an email. Please check your spam! Would love to assist! We lived in St John’s, Newfoundland and are interested by a Thermomix. Is there Rep’s in St john’s,NL area ? Also, Is the TM31 still be available when the TM5 will be available in Canada ? LOVE Newfoundland. Sent you an email. Please check your spam! Would love to assist! I have sent you an email Latifah. Nobelhaus is the distributor for Ontario. I live in the USA can I get a Themomix here? I;m interested in purchasing the TM5. Is it available in canada yet? I am located in Toronto. canada. I’m interested in the thermomix. My roommate bought one from you. I’ve moved into my own place otherwise I’d continue to use hers… Love it! What is the current cost? I have sent you an email! Please check your spam! I would love to know what the prices are like. One of my Australian friends was telling me about this fantastic machine. I would also like to know if they come in 110/120V or if they only come in 220/240 and I would need a voltage converter? Hi Valerie- love your blog. I have the same question as a number of people. I have a TM5 and am thinking of moving to the US. Can I get a Thermomix there with the correct voltage or what are the options? Thanks! Greetings, Andrea – check your spam. Like many people on the comments, we come from Western Europe (Portugal in our case), we live in the US, and we would like to buy a Thermomix. Can you please help us? Hello–I’m in NY and I’d like to learn more about buying a Thermomix. Price? Will the voltage be ok? If something happens to it will it still be covered under warranty since I’m outside of Canada? etc…. I am an American living in the Middle East and am planning on returning to the US this summer. I have just been introduced to Thermomix and would buy one today if I knew I could take it back home with me. I need to have one! Sent you an email! Please check your spam. Hi, I am moving to San Francisco in July and would love information on how I can get my hands on the TM5 🙂 Looking forward to hearing from you soon. Cheers! I did check my spam. I’m living in the US, and I’d like to buy a Thermomix. Could you please help me? Thanks in adnvace! I have sent you an email, June! I am interested in getting a new thermomix and I live in Ontario, Canada. I know you will check your spam – and I have sent you the email. I have checked my spam, but do not have an email from you. Hi! My sister lives in Australia and showed me her wonderful Thermomix 5. I live in the USA, do you know where I can get the Thermo 5? HI Susan, I have sent you an email. could I get some information about the thermomix in the US? I did send you an email a week or more ago? Have not heard back from you? Please check your spam. I REALLY need to get this muchine, i had it when i was leaving in Greece but i couln’t bring it with because of the electric power…. I have written to you, Myria, and look forward to your response. Am in Greece, now, as a matter of fact. I am interested in purchasing a TM5. I am located in the USA. I’d love to hear from you! I have answered you. Please check your spam. Hi, I’m currently living in the Australia and have a TM31 with 2 bowls. I’m moving to Alabama in a few months and am considering selling mine here and buying one there so I don’t need a transformer. Could you email me some info please? Thanks! I have sent you an email! Please check your spam. Hi, I am interested to buy a Thermomix, I live in NYC and would like to know if you can provide the machine and of course if I can use it in the USA due to the voltage difference with Europe. Thanks! Do you have the TM31 model for sale? For how much? TM31’s are all sold out. Sorry. Check your spam – information sent. We saw the thermomix in action in germany recently and wanted to know more about what models you sell and payment plans etc. Thanks very much in advance! We’re in North Carolina, Raleigh area. Hi — I am interested in purchasing a Thermomix and having it sent to toronto ontario canada. Can you provide me with info on pricing and the process. Also I would like the Thermomix with the touchscreen not the one with the buttons. Thanks!!! I have forwarded your email on, Margaret. After using my cousin’s tm5 in France, I am very interested in purchasing a Thermomix. I live in the USA, near Chicago. Could you please send me information about purchasing. Just sent you an email. Leslie! I had a typo in my email. Please send information to address attached to this message. I live in San Francisco Bay Area US, and was attracted by this amazing kitchen machine, and thinking about to purchase one immediately, could you let me know how to purchase it from Canada to USA? Thanks! Check your spam, Silvia, as I have sent you an email. I saw the comments thread and it looks like you quickly reply to your customers. I hope you’re making a mint from Thermomix if your customer service is as good as it seems on this website! I have a TM31 and I am moving to America. I know it wont work there and need advice! The sole purpose I am moving is because I want to start a family and without my second husband BimbyTM31 I don’t know how I will do it! I can sell it before I leave if I have to but I really need to know what my options are. How is it different if I buy one from you in Canada? Also, which models can I use in America? I might upgrade if that is an option. I will do that right away, Nomiki! Welcome to Alberta! I have just sent you an email. 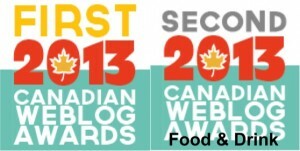 Please check your spam or email me directly at valerie@acanadianfoodie.com. I sent you an email. Please check your spam. Did you find it? I would like to know the price of the TM 5? If I want to get one who can I contact in Vancouver? Have not heard back from you. Hope you got my message? Hi Valerie, I am moving to the US early next year (I have to get rid of all my kitchen appliances as they will not work due to voltage) I am super keen to purchase a Thermomix, would like to know a little more about the different types and if can you help me with contacts or the purchasing of one. responded 2 days ago – haven’t heard back. Check your spam? I am interested in purchasing a Thermomix TM5. I live in Baltimore, MD. I would like to know the price of the machine and if you accept returns if i am not satisfied with the machine. Also, do you offer warranty? I have send you an email. Check your spam, please. I would like to know how can i purchase the new model. I sent you an email a couple of days ago! Please check your spam. Hi! I am an Australian who has just moved to Edmonton. I brought my australian thermomix here with me and bought a step up step down transformer as I was told this would solve the voltage difference. It is fine for general use but as soon as I try and use the heating function the transformer starts smoking and overheating. If you have any information as to how I can fix this or troubleshoot please email me. Hank you! Welcome to Edmonton! Let’s cook! I have sent you an email! Please check your spam. 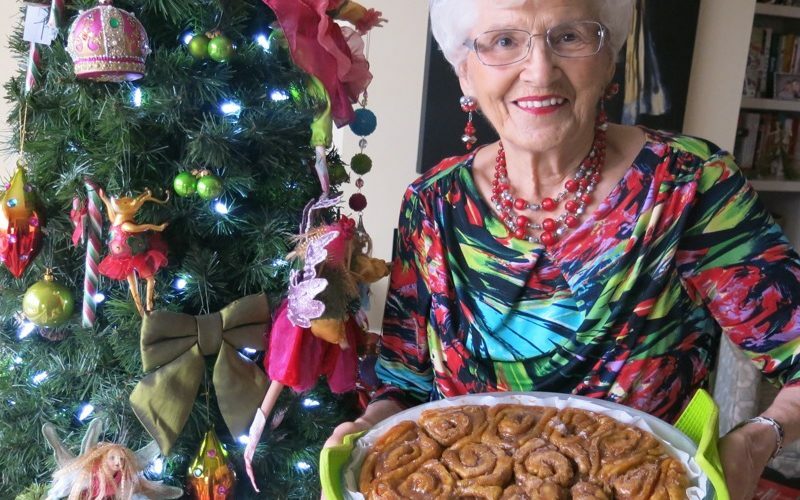 I am an Australian living in the USA, my mum (still in Australia) has a thermomix and is desperate to get me one BUT the age old not available in the USA – I notice alot of the comments in your feed are asking the same question – can you help those of us STUCK in Thermomix isolation her ein the USA? I do have friends in Cochrane AB if that helps? I have sent you an email. Please check your spam! Have sent you an email and I am sure you will be checking your spam! Hello, can you please send me the info/price/delivery date on TM5 i live in the DC region, and had a demo of it in France. I live in California and I would like to know if I could get one shipped here. I recently saw one a friend bought out of the US and I am interested in getting one myself. I have sent you an email, please check your spam. I recently moved from Australia and sold my Thermomix. Could you please let me know the price and availability in the U.S.? Thanks! Jyst mived from Gwrmany to usa! Need asap a thermomix, can you help me how to get in in Nevada??? I’m interested in buying the new TM5 model for use in the USA. Would it work if my family brings it from Spain along with a transformer? If not, how could I purchase there? Hi, another American here and would love to get some more info on purchasing a thermomix. Thanks! Check your spam – the email is sent to you. Hi, i’m interested in knowing prices if you could email me some info? I woul be interested in TM 5. Lucky Calgary consultant who scooped you up! 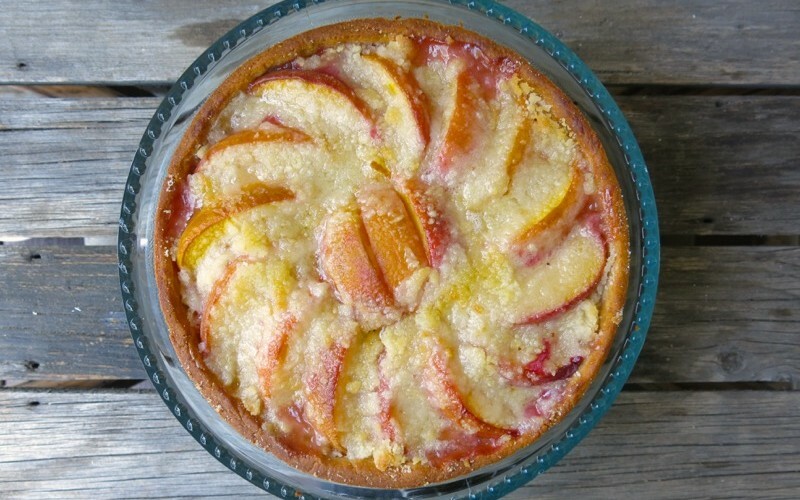 Don’t forget to share your favourite recipes with us, here, Beata! I live in Michigan, 30 min from the Canadian boarder, and I am interest to purchase a Thermomix. Can you please send info about it? THANK YOU! I have sent you an email, Raffaella. I sent you an email, but it bounced back so you must have made an error when you copied your email. If you send another message, we can give this another try. Hey Valerie! …I’m located in Edmonton and wondering if you can contact me regarding purchasing a Thermie… The only catch is that I need it before the 25th of September. Is that possible? Please drop me a line; i can’t find any phone number on your site! I’d love to buy a thermomix if at all possible. I live in the US (Massachusetts). Please let me know if there’s anything I can do to get one! I heard about the Thermomix from a friend. I have seen the youtube videos on it and am curious whether it does in fact cut down on the prep times. What does it cost? I’m in Edmonton, AB as well. I have sent you an email and look forward to connecting! I’m interested in the thermomix but living in the US. Please let me know how to get one if at all possible. Thanks! Did I try to call you today? I am so sorry I missed connecting with you if you are the same Miryam. If not, I have sent you an email! Hi Valerie. I am currently living in Edmonton and keen to purchase a Thermomix. How do I go about it? Erica, I will send you an email and call you as soon as I receive your number. Am thrilled, as always, to find a local Edmontonian sharing the Thermomix passion and cannot wait to hear your story. Hi Valerie! I just moved to DC with my husband and he wants to buy a Thermomix with the right voltage for the Americas. He felt in love with the Thermomix in Europe! How can we get it from here? thank you! I have send you a message Lizeth. Thank you for connecting, Fiona. I will be visiting Nova Scotia, Canada in July 2016 and would like to know where I can purchase the Thermomix machine and bring it home to Florida with me. I did email you last week, but have not heard back from you. Please check your spam. I live in Mississippi and I would like to buy a TM5. Could you please be in touch re purchasing a Thermomix. Moving to the USA soon and would like to upgrade from my TM 31 to the latest model. I have sent you an email, Barbara. 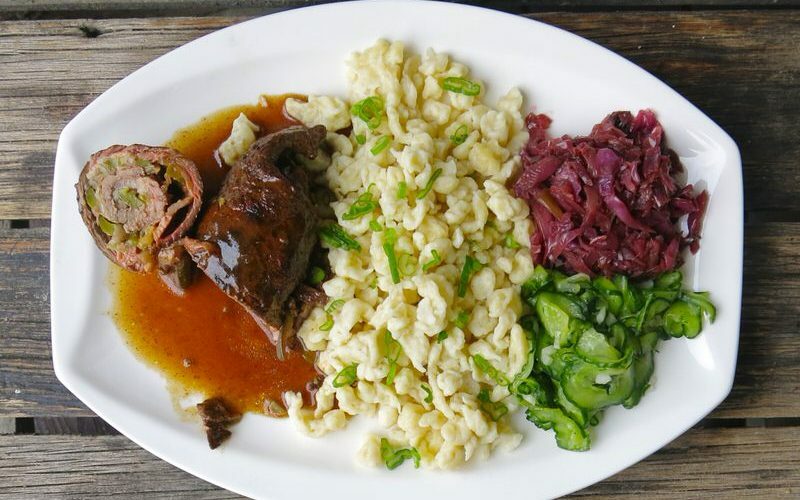 We are currently visiting a friend in Germany and used his Thermomix..love it~ We are looking to get one for us back in the states…how would I go about doing so? Valerie, I have looked and I don’t see any email from you. Please try again! I sent another message – did you get it? Could you please contact me back? I sent you an email last week and I would like to establish contact right away. I really need to buy a Thermomix TM5. I live in Florida and I need your help to get this accomplished. Odd that I didn’t get your first email, but really enjoyed our talk today! I’ve heard the news that thermomix 5 will be available for sale in US at the beginning of 2016. Do you know the exact date when it will be there? They have a fan page on facebook and I am sure if you like it, you will find out… that is what I did. I live in San Diego CA USA and would like a thermomix for Christmas. Can they work in the USA? I have called you Jill! How much are these, are they 110 volts? Yes, the work in North America. They are made to work in North America in the German and French factories. The North American electrical supply is the same from Mexico through to Canada. 110 volts all the way! If you want further information, you can let me know. I am not allowed to print the price, but can email it to you, though it appears you are still at the preliminary stage of learning about the machine. I can certainly say they are well over 1000 dollars, and worth every penny! please could you call me on +1 805-338-3847 regarding the Thermomix Model 5 for US; or alternatively I am very happy to call you if you could email me your phone number please. I live in the US and would like to purchase the T5. Will you please contact me by email? Thanks! I sent you an email, Ginny or Mixtape…. please check your spam. I am interested in purchasing a Thermomix (had one I Europe and loved it ) but I live in the US. Are you selling to US customers? Thank you. I have responded to you, haven’t heard back. I have sent you an email, Henrique. Hi interested in a demo and buying one. What are the processo for the old and new one? I sent you an email yesterday. If you didn’t get it, let me know here! Please do check your spam SOFIA – or write to me at valerie@acanadianfoodie.com = as I can send to you, but often get filtered out. If you send to me, I can reply and then you will get my message. TOO BAD! I answered you within 30 minutes! Actually you answered in 1h and 30 minutes but are you interested in selling the machine or not? Did you get me e-mail to you? I sent you two more messages. Maybe contact me through the contact me page and provide your phone number and I will call you as email is not working? Please confirm receipt of it – don’t forget to check your spam. My name is Renee, I live in Lethbridge Alberta and I am very interested in purchasing a Termomix! Sent you an email – please check your spam and confirm that you have received it. I’m french and I will live in Edmonton soon. I’ve got a thermomix in France but I think it will not function in Canada. I would to buy a second hand TM31 or a a new TM31. Can you help me with that ? You might have client who want to resell her TM31 to get the new TM5 ! Hi Carole, I have send you an email. Please check your spam and let me know you have received it. Hello, we just moved to Vancouver from Belgium, where my mother-in-law has a thermomix and we fell in love with it. We are hoping to buy one now for our apartment in Vancouver! Welcome to Canada! I have just sent you an email. Please check your spam as I am looking forward to connecting with you as soon as possible. Check your email – I responded to you there. Please get back to me either way? I have sent you an email. Please let me know that you have received it. I sent you an email earlier today. Please confirm you received it? Hello. I would like to get more information about price and how to buy it in Manitoba. I used to have it back home in Europe and really miss that appliance. Hi Valerie: Thanks for getting back to me. I checked my spam, and no email. Check my email again. Hello, I live in Calgary and I am interested in buy a termomix and become a consultant, can you please sent me more information about it? Just sent you an email and looking forward to hearing back from you right away. I’m currently on holidays in Italy and have heard about the Bimby. I live in Calgary and am wondering what the price of the thermionic/Bimby is? I will resend your message. I likely sent it to the wrong email address. I am interested in purchasing the Thermomix. Thanks so much. I am interested inthe price of a Thermomix. Thanks. Sent you an email Katie! Hi, I live on the east coast and was wondering about pricing. Thanks. I have sent you an email. Please check yoru spam! Hi, I live in Kingston ON, and would really appreciate information on purchasing a new thermomix. Many thanks in advance. I have sent you an email Josh and will be answering you in full, today. I live in Calgary and am interested in getting a Thermomix. Sent you an email a couple of days ago and have not heard back. I asked for the Thermomix5 for my birthday and my husband accidently bought it from Germany so it has a higher voltage and the hertz are different which I guess means it will work faster. We are looking into sending it back as it has not been opened or used. That being said, I would be looking into getting a Canadian Thermomix with the 110V. I have sent you a couple of emails. Be sure to check your spam. Also, do you know if the 5, with 1500w has a dual voltage capability? Hi, No, it does not, Victoria. I recently moved to the USA and would like to buy a TM5. Where can I get one at best price? Please contact me by email. I have sent you an email, Michael. I would like to purchase the TM31 and I live in Hamilton, ON, Canadá. Could you, please, email me an info about the price, purchase plan and a contact? I have sent you an email, Richard. Please check your spam. Is there a consultant in Ontario? Sent you an email Angelina! Hi! As many others I am moving to the U.S. and would like to purchase Thermomix that would work there. Thank you. I live in Vancouver and would like to know how much a TM5 costs. Also ensuring that it is the right voltage for Canada. Sent you an email Brigit – please check your spam. I am interested…what does it cost? I have sent you an email Cheryl! I’m not sure I can afford a Thermo mix but would love to know the price and hear what they do. I just moved from Australia. I used to have a thermomix and I really miss it. I wish to buy a new one really soon. I have sent you a message and am just waiting for your phone number. Hi, I am interested in getting one. This sounds so amazing! Sent you an email, Cindy. Please check your spam! I called you on the phone and will make sure you get a look at the real deal! Called and sold! – haha. 🙂 Looking forward to connecting when you get your machine, Michel! I live in Winnipeg and I would like to purchase a thermomix. Do you know any sales agent in my area? Also I would like to know if it’s possible to use a chip recipe from Spain. 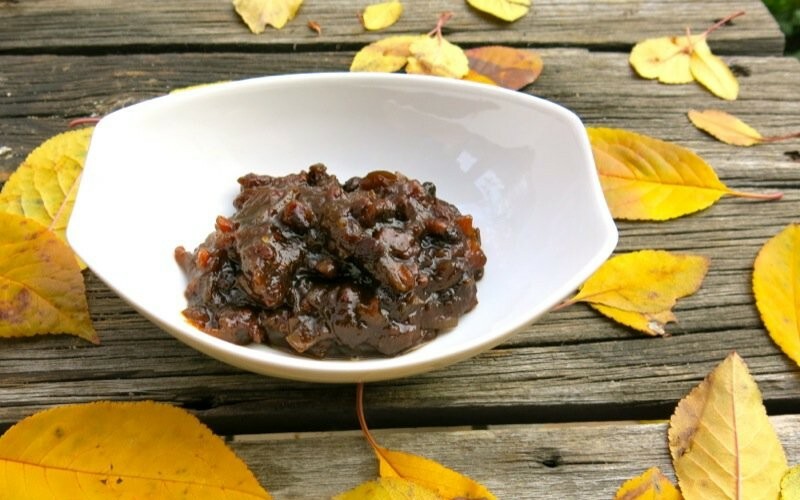 I am from Barcelona and I would like to be able to cook spanish recipes. I have seen in the official website they do sell the chip in spanish but I’m not sure if it has north american recipes translated to spanish or it really has the spanish recipes (same recipes if I would buy the thermomix in Spain). Hello, i already have the machine but i am looking for new books as i live out of the country and the selection is very poor. My husband is in Edmonton for a week, and he could bring back some chips or books, do you have any available? Hi, I’m interested in buying a Thermomix TM5 but live in the NWT. I will be in Edmonton over the holidays. Would you be able to demo a unit and keep them in stock so I can save on shipping and delivery time. I sent you an email yesterday, Johan, but haven’t heard back from you? Please check your spam? We have talked and I hope to hear back from you soon! I am interested in purchasing TM5 as well. I am located in Edmonton. Please email me as soon as you can. I am looking for a demo in Winnipeg . I do believe your Thermomix Cooking Experience was booked with you today!